The Karbach Brewing Company seems to have a different truck at every tour, and since we love good beer and tasty food, its a perfect combination. This time it was Wicked Whisk. This truck features a small menu and turns out the food pretty fast. 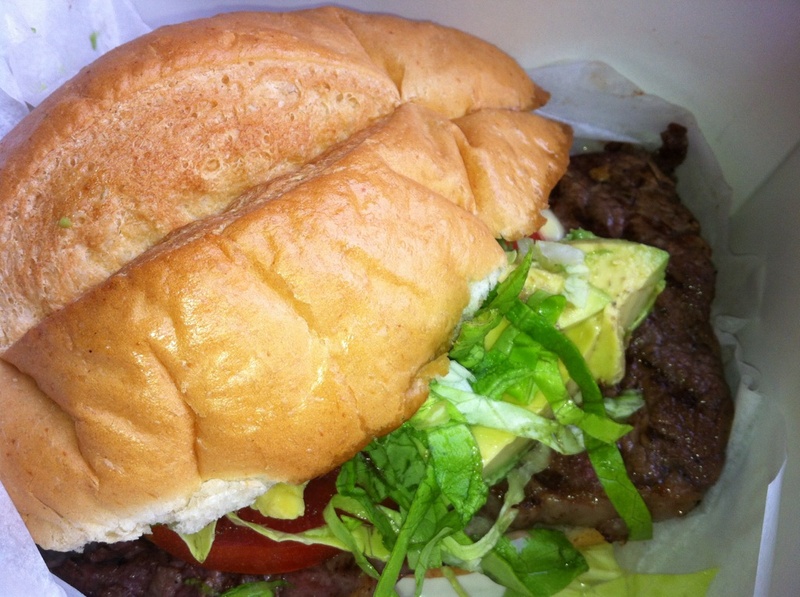 Wicked Torta ($9): A big grilled ribeye sandwich served on a Mexican bolillo roll. 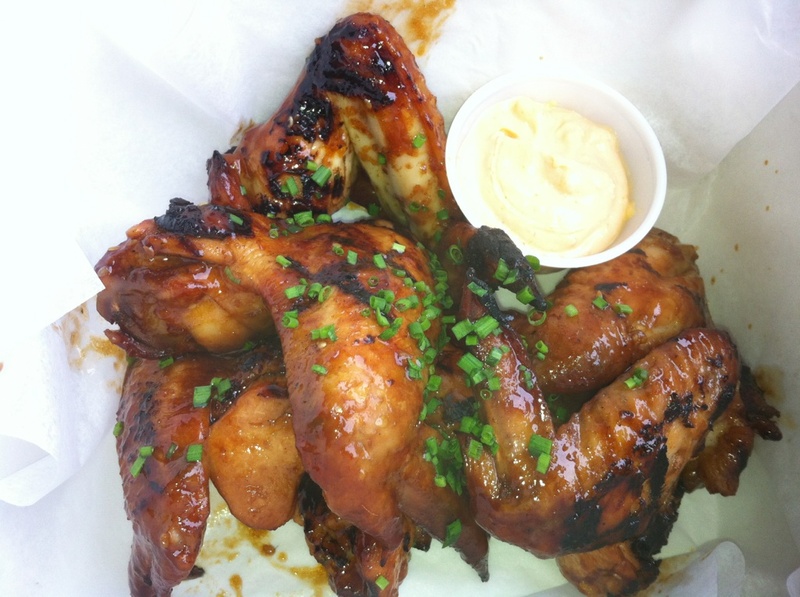 It comes with smoked Serrano salsa on the side. The salsa has a nice heat and was good on the sandwich, serving it on the side is nice, lets you adjust the heat to your taste. the steak was perfect, tender and grilled medium well. The menu says it has kewpie (Japanese brand of mayo I think) but with the avocado on the sandwich I never noticed it. synopsis: Tasty and filling, recommended. 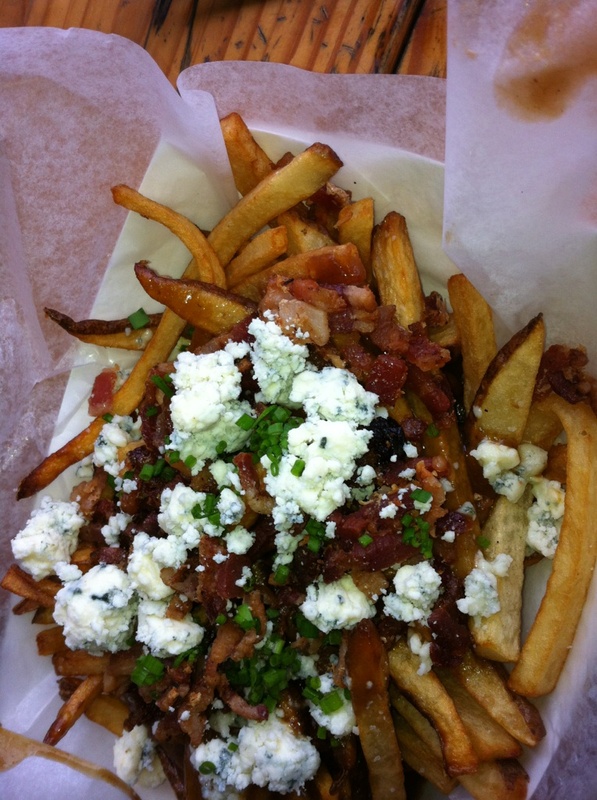 Bacon and Bleu Poutine ($6): A take on a traditional Montreal bar food, a poutine combines fries, cheese, and gravy. Blue cheese and bacon? sign me up! This version starts out good with nice bits of bacon lardons and just the right amount of blue cheese for me, but the porter demi gravy was sort of bland for me, just reduced brown stock and no real porter beer taste. The gravy was put on too heavy handed, making the fries a soggy mess before we could finish them. A lighter application of the porter demi would have prevented that. Judging from the portions I saw left on the table lots of people found them too soggy to finish also. synopsis: starts off good, eat'em fast before they get soggy. Other items offered but not tried: Bacon Fat Fried Chicken Sliders on blue corn biscuits and Texas Melt featuring Morgan Ranch Wagyu beef (think Kobe Beef). I talked to several folks eating the sliders most thought they were good and nice and bacony.